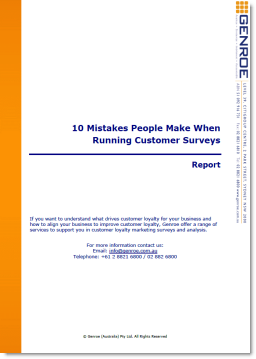 Are you stuck on the delight the customer merry-go-round? I’ve always considered that the delight the customer approach to customer loyalty and retention was a little misguided. It’s not so much that a delighted customer is not a good thing to have. It is. We’ve all heard stories of the sales rep who goes above and beyond the call of duty and generates a very loyal customer. The problem is how to put this idea into a repeatable process for the organisation. Exhorting staff to delight the customer is not a very repeatable nor trackable process. So I was delighted, no pun intended, when “Stop trying to delight your customers” was published by the Harvard Business Review. The authors have investigated what keeps a customer and have discovered that making it easy for customers builds more loyalty than delighting them. This resonated with me and probably anyone else who walks up to their “usual” coffee shop knowing that the guy or gal behind the counter knows your order and has already started making it. “Twenty percent of the “satisfied” customers in our study said they intended to leave the company in question; 28% of the “dissatisfied” customers intended to stay. To paraphrase that: Customer Satisfaction <> Customer Loyalty. We’ve heard this before but it bears repeating. Dixon et al. go on to present some good point solutions to typical company problems and suggest a new metric: Customer Effort Score. It was here, however, that my preferences diverged from the authors. Transactional Net Promoter Score seems, to me, to be the best approach to implementing “make it easy” in an ongoing process applicable to all businesses. Transactional Net Promoter Score® executes the NPS® question (see our free “Introduction to Net Promoter Score” for more information) at key customer touch points. Performed in this way it is an excellent diagnostic for the customer service experience and particularly “making it easy” for customers. Execute an NPS Survey: execute an NPS survey after each transaction at a significant customer touch point. The survey can be performed via email or outbound call but email is much lower cost. Implement Service Recovery: where a customer scores the organisation low on the “would recommend” question, provide the customer with the option to have someone call them back to initiate service recovery. Collate and review the qualitative data: The second question in the NPS survey should be something like: “What is the most important reason for giving us that score”. This is where you will find the key issues that customers are facing. Root cause analysis: Root cause analysis using the qualitative data from the second question as the starting point will help you find the places in your organisation where you are making it hard for customers. One of your goals should be to categorise this qualitative data into themes. That will make it easier to rank the issues and perform the root cause analysis. You can wait until you have enough survey data to create your themes. Or use the techniques suggested in this post “Determining what might be important to a customer”. Make changes: Once you understand the root causes you should look to make changes in your organisation to eliminate problems and make it easy for customers. This process can be data and reporting intensive but there are some ways to automate it, see Automating Transaction Net Promoter Score Data Collection. In this case a specialist NPS application with the ability to link to your customer systems is a good approach. These systems provide much of the reporting and analysis functionality straight out of the box, streamlining implementation. So trying to delight the customer is a nice goal but making it easy for them is more likely to deliver serious improvements in customer value. If you agree with the authors on that, then Transactional NPS may be a good way to collect the data that you need to make changes in your business. Hi Adam Tks for reviewing this article. I agree with you on making it easy for customers. Like you I think this is different from constantly trying to “delight”. I often speak to my clients about delivering “standards” i.e. fully meeting expectations and “extras” that are over and above the standard but which if used properly can enhance a relationship. The danger is that “extras” very quickly can be seen by the customer as “standard”. You are quite correct. One of the places that customers get their expectations is from past services. If you “surprise and delight” a customer with, say, free shipping you had better cost it into future business costs as you have just raised their long term expectations.